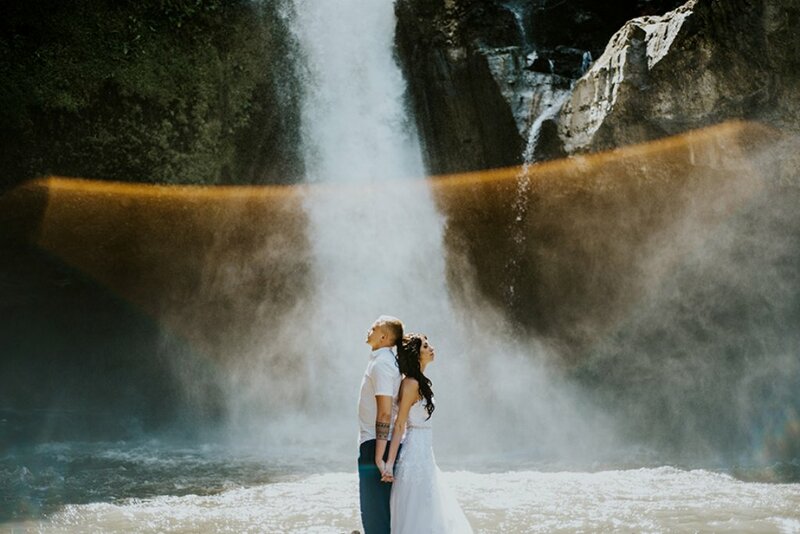 When it comes to a tropical pre-wedding photoshoot, Bali is always the first place that comes to mind. It is a beautiful tropical paradise with the sun, sky and sea all in perfect harmony. After having about a billion photoshoots in Bali, these are our favourite spots that you can’t miss! The famous lake of Bali where most couples love having their photos taken at! It is best to visit early in the morning as it is most beautiful when the first hint of sunlight shines onto the glimmering waters of this lake. We usually row our couples on a boat, out to the shrine nearby or the wooden platform that floats in the middle of the whole lake. There are many rice fields in Bali but Tegallalang has got to be one of the most beautiful. Their carefully curated rice terrace steps are a form of art and you will be impressed by the expansive view before you. It is important to come early for this one because this beautiful place is going to be flooded with tourists in the afternoon! A natural wonder that Bali is famous for is their rustic and beautiful waterfalls. Cepung Waterfall is but one of many of these stunning gems and what makes it stand out is its location inside of a cave. This makes it almost otherworldly when the light rays shine in and light up the whole place. Mount Batur has one of the most popular hiking routes as the view atop this active volcano is out of this world. You will be rising above the clouds and watching the sun rise above the horizon from a whole new angle! If you’re into the “Bali Swing” hype that’s trending on social media, there’s one here with similar vibes but much less crowded. The Wanigiri Hidden Hill is full of beautiful attractions that will spice up your Instagram feed. From the famous swing to a bird’s nest to the gorgeous cliff-side viewing point, you will be spoilt for choice! Bali being such a well-known tropical paradise, of course doesn’t run out of pristine beaches. However, Nyanyi Beach stands out amongst all of them as it is one of the very few volcanic black sand beaches that exist in Asia. This is an extremely rare gem and definitely worth the visit! The Campuhan Ridge Walk is an easy walking trail in the midst of all the lush greenery. It is extremely under-rated so you will never have to worry about tourists crowds! This is a great place for photoshoots with the lovely treetop view as your backdrop. Located just below Mount Batur, the kintamani lava field is a hidden gem that offers rugged beauty overlooked by many. 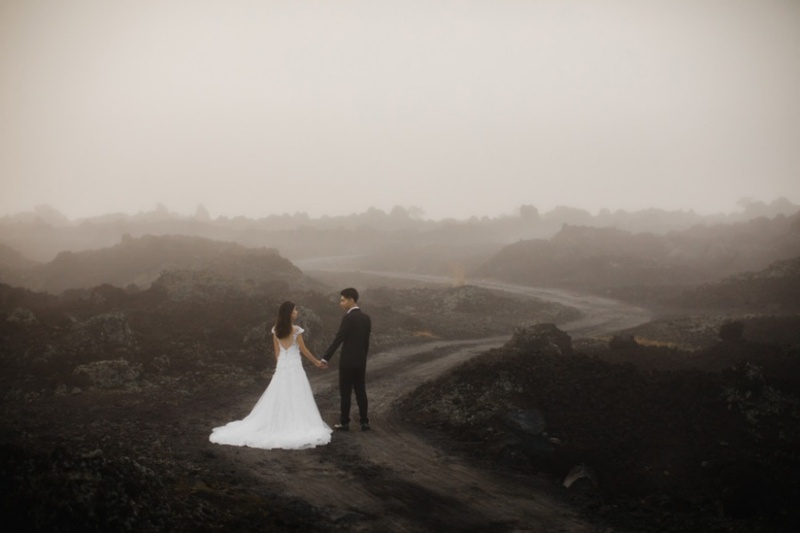 With piles of hardened Lava collected at the bottom of the volcano, most people do not expect it to be such a stunning photoshoot location! The fog provides a mysterious touch to the already alluringly dark scene but it looks absolutely magical when the first light shines on the fields. The devil’s tear is the most popular attraction on Nusa Lembongan island. You will be greeted with rocky cliffs and gushing waves that can get quite high when the wind is crazy! Tegal Wangi Beach is noteworthy because of the coastal rocks found here that create many cliffs and cave-like structures that look super postcard worthy! This is also one of the best places to admire the sunset after a long day of photoshoot. This limestone valley found just beside Melasti Beach is the definition of Instagram-worthy backdrop! Look no further if you are searching for backdrops that exude a rugged charm for your photos. Bali has always been one of our niche destinations and we have brought our couples to so many hidden gems around this wonderful place. 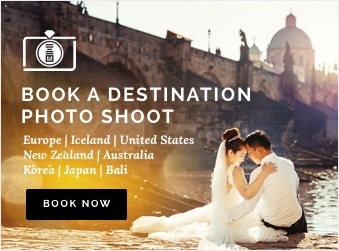 Let us discover more picture-worthy spots with you for your pre-wedding photoshoot! 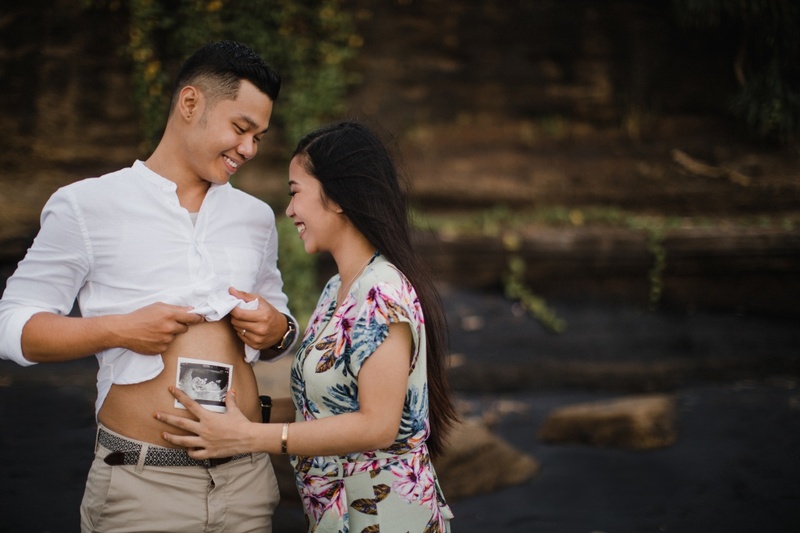 Check out our Bali pre-wedding portfolio and affordable packages now!